The Smashbox Step by Step Contour Kit is the latest contouring beauty that I've been trying, a contouring kit which features 3 shades covering contouring, bronzing and highlighting. 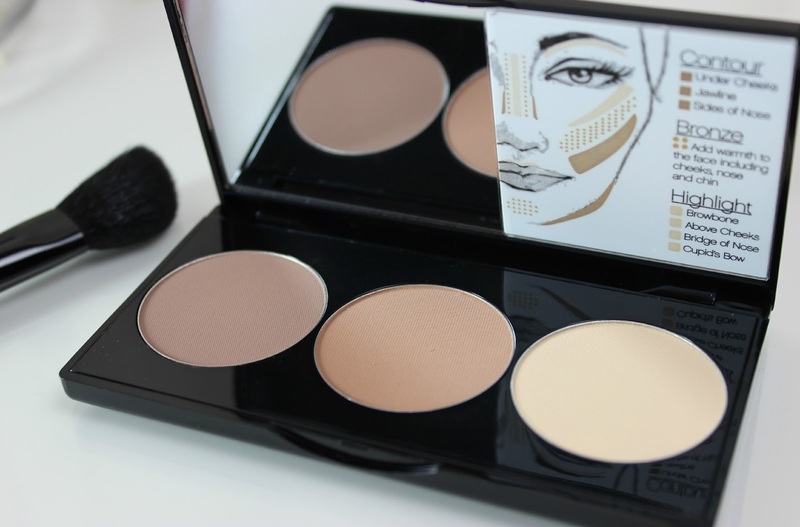 Presented in a super slim and very lightweight palette with a big compact mirror, the kit also comes with a Smashbox contouring brush and a pull-out 'Shape Matters' insert with how-to's for using each shade dependent on your face shape, which is really handy for those new to contouring and unsure how to achieve the best look for their face shape. A handy little diagram is also adhered to the compact mirror inside the palette, with a guide on where to apply each shade - great for when on-the-go, too! The Smashbox contour brush which is included with the kit is very handy, a tapered contour brush which is the perfect size and shape for contouring - although I do prefer to use other brushes for the bronze and highlight shades in the kit. The brush itself isn't a standard full size brush, more a travel size, but still a great addition to the palette. I did notice after the first couple of uses and the first wash, that there were a few loose bristles coming out, but after those first few uses it seems to be fine. Considering most cheek products and palettes don't come with a free brush, I think it's a great addition to the kit. Personally I think the 3 shades within the kit are spot on. Each shade is matte, without a speck of shimmer in sight, with buttery soft powder formulas and no fall-out whatsoever. Each shade is very easy to work with, applying well and blending very easily for a more natural looking finish. The contour shade is a lovely cool-toned brown with a touch of taupe that works really well to create a natural looking contour without looking too harsh or obvious. The bronze shade has just the right amount of warmth to work with a variety of skin tones, a slightly golden bronze shade that is cool in tone and not a touch of orange in sight. Lastly we have the highlight shade, a pale highlight that's almost champagne in colour and very subtle, working well to lightly illuminate and highlight. Am I a fan of the Smashbox Step by Step Contour Kit? Most definitely! I think it's a fab little kit, great for everyone from contouring addicts to those just starting out with contouring, too. 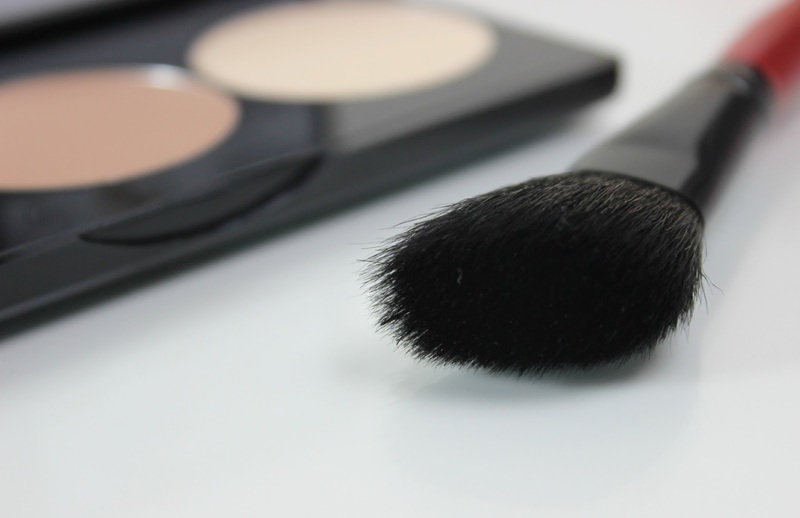 The contour brush is a great addition and both the Shape Matters leaflet and little guide on the compact mirror are really helpful for getting contouring, bronzing and highlighting right. What do you think to the Smashbox Step by Step Contour Kit? Available at www.boots.com, RRP £35. I have never contoured or bronzed before so a kit like this would be super helpful! This looks amazing, I always think I am rubbish with contouring especially using a bronzer, but this little kit looks great, I like how its not to dark - its a big worry of mine with having pale skin. This looks fabulous - definitely want to give it a go as contouring's fast becoming a staple part of my makeup routine! Think I may be sold on this...I do want to treat myself to a decent contour kit! This is such a lovely product! I love how the shades are quite light looking as well, which is perfect for paler skin. This sounds perfect! I'm wanting to test out a few more contour products and this sounds like it would make a lovely addition to my collection! Thanks for the helpful review! I love contouring and I started hoarding/trying so many brands. This palette is now on my list.